Mugs inspired by the classic anime TV show UFO Robo Grendizer! Set includes 4 individually packaged 11 oz. mugs. Features 4 different designs that include Grendizer, Duke Fleed, King Vega, and more! Check out these colorful UFO Robo Grendizer Mugs featuring artwork inspired by the classic anime TV series UFO Robo Grendizer! This set includes 4 individually packaged mugs. There are 4 different designs, including Grendizer and Duke Fleed on Bike, Grendizer and King Vega, and more. 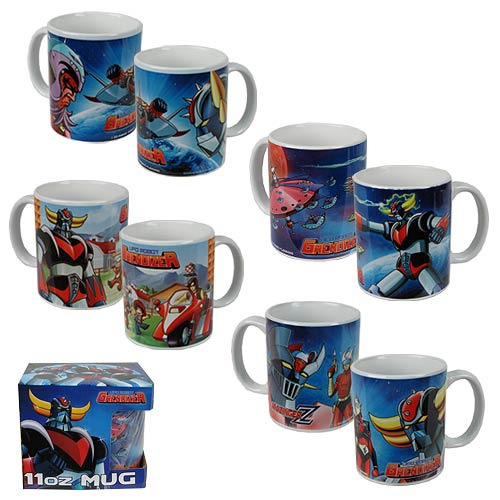 Add to your robot army with these UFO Robo Grendizer Mugs!